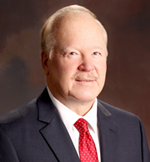 CHERRY HILL, NJ, May 28, 2014 – Gary Case has been appointed Director of Sales, Private Fleet and Carrier Division, for AmeriQuest Transportation Services, a leading provider of comprehensive fleet management services. He will report to Matt Bogdan, Vice President of Sales for the division. In his new position, Case provides private fleets and carriers with the negotiated aggregated buying power created by AmeriQuest’s network of more than 700,000 vehicles. Fleet equipment, parts and supplies from 100 leading manufacturers are available to AmeriQuest customers at a savings of up to 20 percent. Before joining AmeriQuest, Case held the position of tire consultant for several companies, including GCR Tire Centers; Tire Centers Inc.; and Bridgestone/Firestone Inc. He holds a Bachelor of Science degree in business administration from the University of Phoenix.